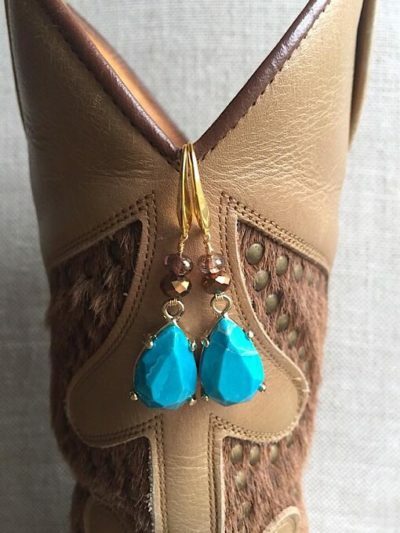 Have a feeling these will add some bling to your look! 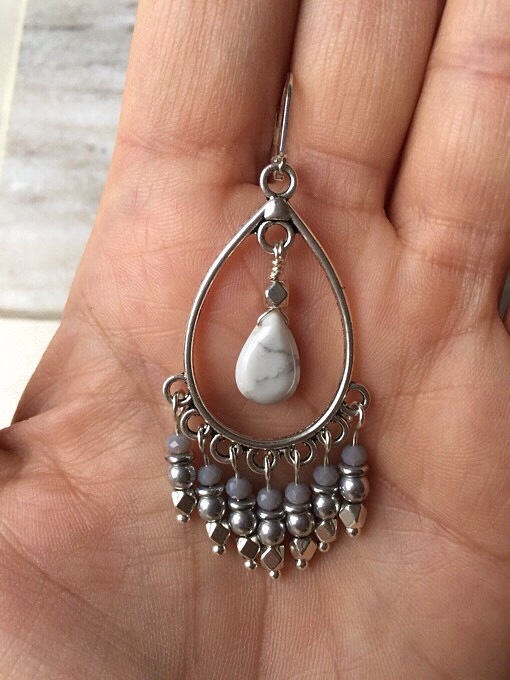 I just love this medley of neutral beads…. 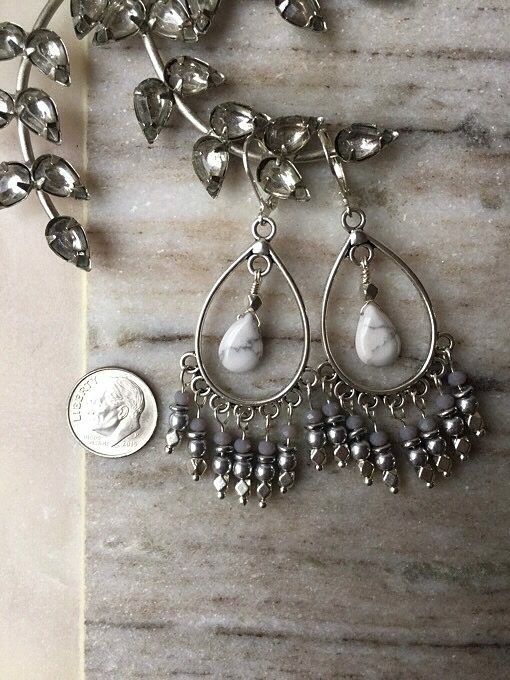 definitely a statement design that measures almost 3 inches in length. 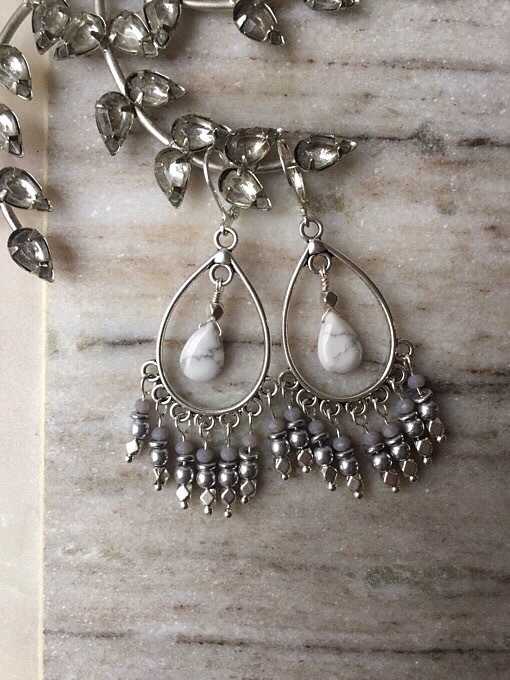 The focal stone in this design is Howlite. 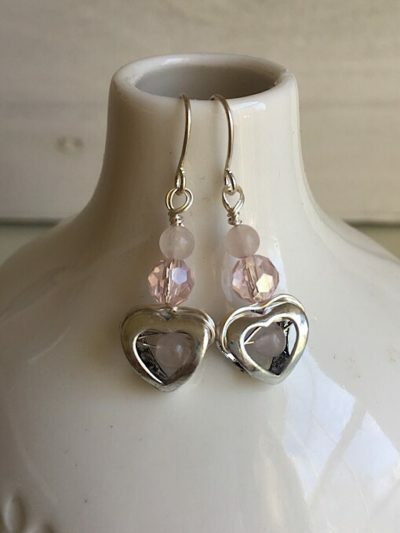 It is known as a calming stone. 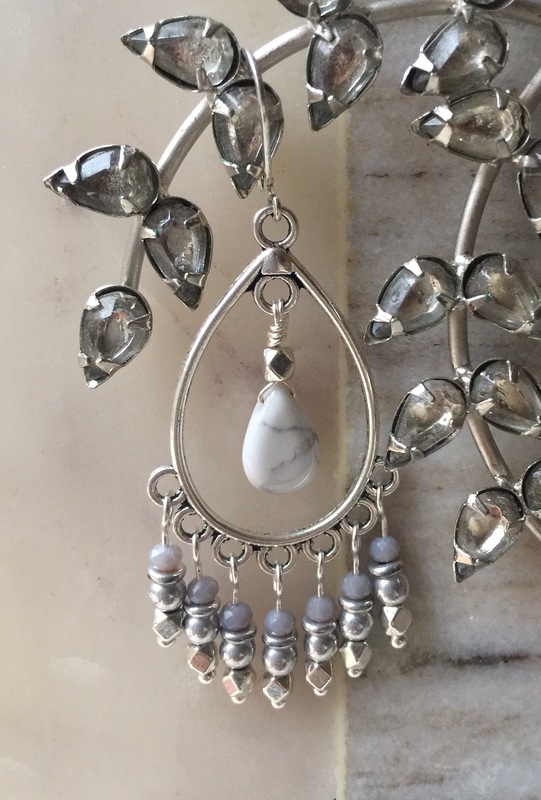 Howlite teardrop beads, alloy teardrop chandelier link, silver plated leverback earring hooks, round gray Czech glass beads, tiny faceted gray crystal beads. Remember to use FREESHIP coupon code at checkout to receive free domestic shipping on all minimum purchases of $20! !